We are happy to announce the addition of Tyson Thomas as a tennis instructor to our Fremont tennis community. Tyson has a lot of tennis experience. If you attended the free clinic he did last Sunday, you can see he has the knowledge and experience to improve your game. Among Tyson’s instructional tennis experiences are Assistant Tennis Coach at Columbus High School (2 years), Tennis Professional with Peter Burwash International (4 years), Co-Director: Milian National Tennis Academy (2 years). For a complete bio, go to Tyson Thomas Bio. Private Lesson – 1 hour – $36.00. Private Lesson – 1/2 hour – $20.00. Semi-Private Lesson – 1 hour (2 people) $20/person. Semi-Private Lesson – 1 hour (3-4 people) – $15/person. Semi-Private Lesson – 1 hour (5-8 people) – $12/person. To print out a copy of the above information to pass on to others, go to Tyson Instruction Info. Tyson is available on Sundays. You may schedule a session by contacting him directly. On Sunday, September 15, 2013, we have a great, unique opportunity for the Fremont Tennis community. Tyson Thomas, a tennis pro, will be giving a free clinic and lessons at the Fremont Family YMCA. Middle and High School clinic will be held at 1:00 p.m. with an adult clinic to follow at 2:00 p.m.
Free 30 minute private lessons are available with Tyson from 3:30 – 8:00 p.m. Space is limited so call, text or email Tysno directly to reserve your spot! The remaining schedules for the Fremont Girls tennis team and the Midland University men’s and women’s teams can be seen by clicking on the corresponding menu button at the top, or on the right. Come out to support our local teams. The Fremont area tennis community has put together a Relay for Life team, called Grand Slam Against Cancer in support of tennis players who have been affected by cancer. The captains of the team are trying to get some participants from the local tennis community together to do the walk, donate, buy luminaria, etc. 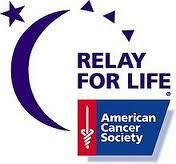 The Dodge County area Relay For Life in which this team is participating is scheduled for Friday-Saturday, May 31-June 1, 7:00PM to 7:00AM at Memorial Stadium in Fremont. Relay For Life is an annual global phenomenon in which more than 4 million people in over 20 countries take part and raise much-needed funds and awareness to save lives from cancer. There are three highlights during the walk.